Splendid! A very interesting battle! For some reason the map is not shown. Maybe the reason is, that the Homepage (sweetwaterforum) were I did the upload is down since some months. The admins promised to repair the hp until December. 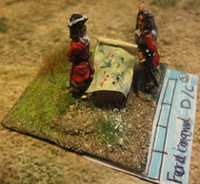 Hessians and Hanoverians will be my next project in 15mm. They have some beautiful flags too! 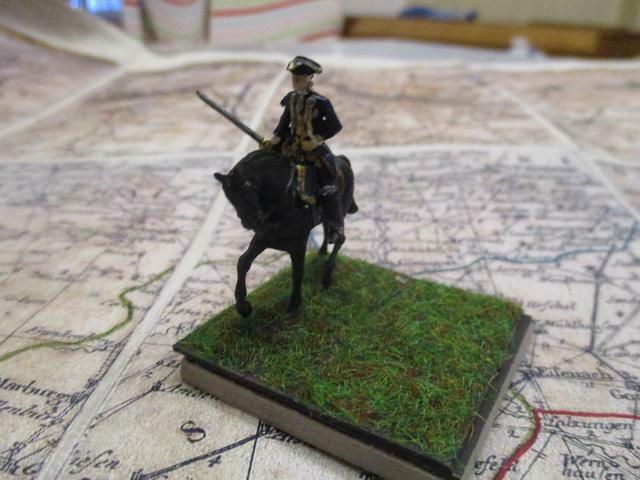 My second and last batallion of Hessian infantry: Regiment Clement (1744). Both flags are from the WSS as I don't know the design during the WAS. Adding Hessians to your arsenal it is great that you increase the potential of the kind and number of battles you may design and play! 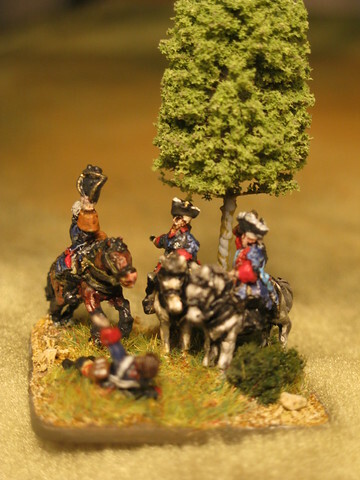 I am planning to make 15mm Hessians this year (Blue Moon figures already bought). I thought that I would need 2 bn.s for Laffeldt in some years. If I will refight Weißenburg for the third time it will be nice to have 2 of the 3 units on the table which were present at the historical battle. Now my Pragmatic army include: British (4 bn.s, 2 drag.regiments), Dutch (Sturler only), Hessian (2 bn.s), Bavarian (5 bn.s - the Bavarians didn't send their cavalry to Flanders), Hanoverian (3 bn.s, 2 horse regiments) and Austrian (6 bn.s, some light troops and 8 cavalry units) troops. 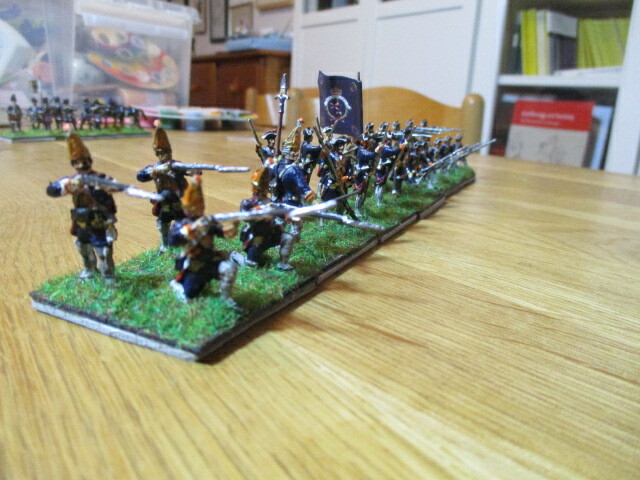 Although I always refused to do it, I ordered some highland infantry (by RedBox) too. 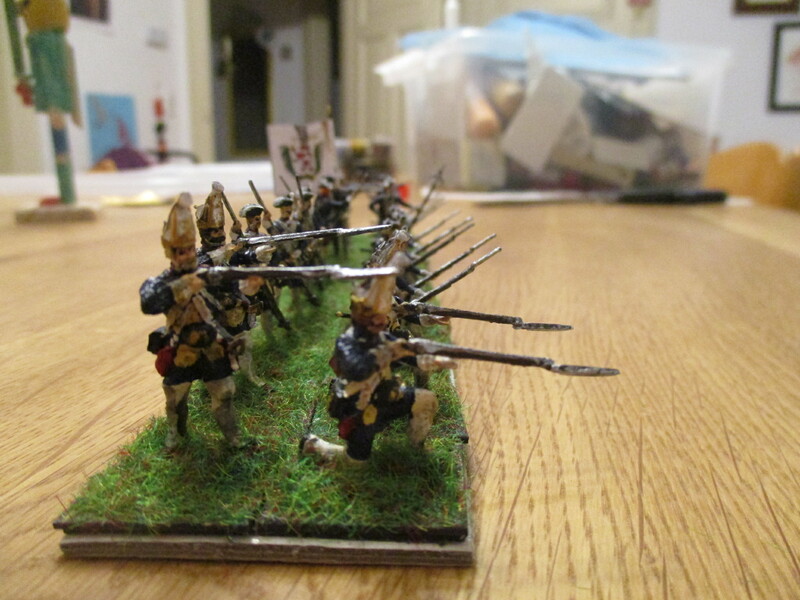 Some of my Prussians will be used as Dutch. I don't know if I should buy the books about the Dutch army from Helion (some commentaries mentioned the poor quality of proofreading). I'm thinking about the Need for more commanders. 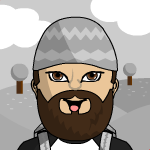 I'm eager to see you playing Laffeld! For me to play Laffeld I have to bring together the Austrian and the Prussian/British guy (a bit difficult to program it ) as I dont have red-clad figures available apart from two battalions Irish and one Swiss. I really dont know if the Helion book about Dutch is worth to read, but it depends on how many times you intend to play with Dutch, I think your Prussians will do the job perfectly. we talked about in another thread. They really aren't well done, but they may solve greatly the problem of number of commanders! I include here my friend Miltiades' solution for the many commanders he uses for Volley and Bayonet. Your Vignette looks just splendid. I very much prefer generals with horses by their side. Naturally I have dozens of dragoons holding the horses from the Zvezda-set (Russian Dragoons). Perhaps at least one of them cutting with a sharp knife and using as a general with his horse. Belay that - it shrunk to fit after I posted. Excellent selection of figures, thanks for sharing. I don't know any portrait of him, but this figure has the uniform of his regiment, as I think that Waldenheim had it. Looking splendid in his ornate uniform! I have painted this figure several times very elegant! Is there some reason you keep a big part of his base empty? All of my bases are 4x4 cm and the figures are all on 2x4 bases, to use them again if another set of rules would use seperated figures.